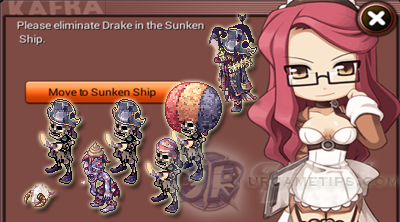 The drop list below will only cover items dropped by VVVS monsters found in the Sunken Ship Instance Dungeon, and will focus more on Rank 4 Purple Items since they are the most used or sold items in the game. To enter the Sunken Ship Instance Dungeon, follow this route: Valder Map > Valder Southbound Trail > Silent Forest > Silent Valley > Silent Plain > Cocytus Swamp > Old Ferry. Talk to the Sunken Ship Dungeon NPC (refer below) to go inside.